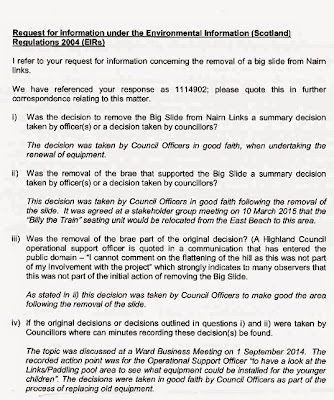 A Gurn from Nurn: Decision to remove Big Slide and brae "taken by council officers in good faith"
Decision to remove Big Slide and brae "taken by council officers in good faith"
Late Thursday morning the Gurn received an answer to a Freedom of Information request concerning the big slide. As everyone's minds were occupied with election affairs we thought we would wait until this morning before posting. To read click on each image to enlarge. One more question I would have is:'Where do the Council Officers who made the decisions live- are they in Nairn or elsewhere ? 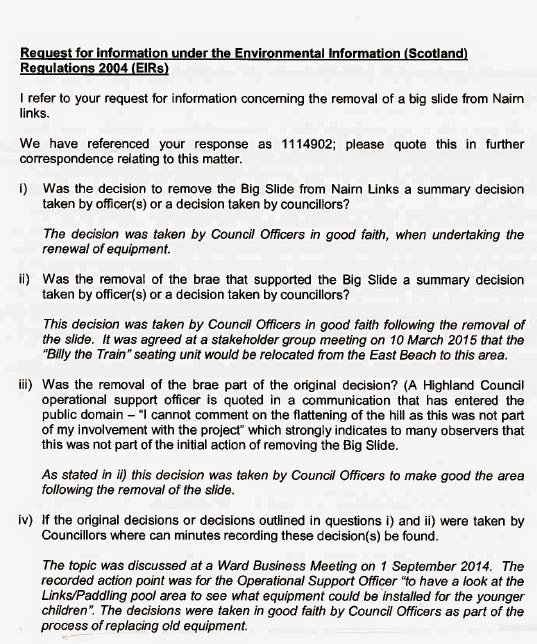 So in short Highland Council employees made a decision to remove the Big Slide and bulldoze the hill all by themselves, without consulting with the population of Nairn or the councillors of Nairn? 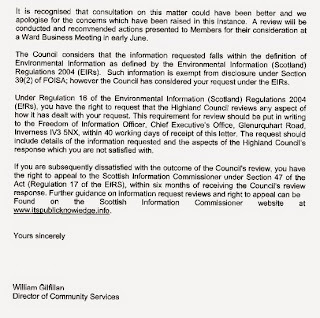 I'd like to know what these same Highland Council employees are going to do to rectify this unacceptable position. 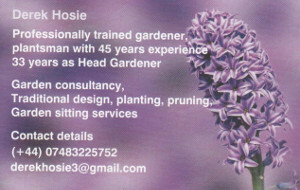 Surely one for our newly elected MP to champion? 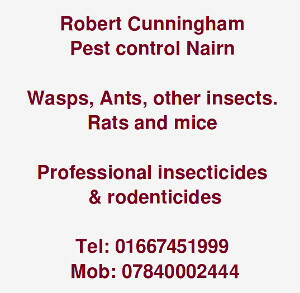 And considering he was council leader and still is in post of a Highland Councillor (albeit not representing Nairn). 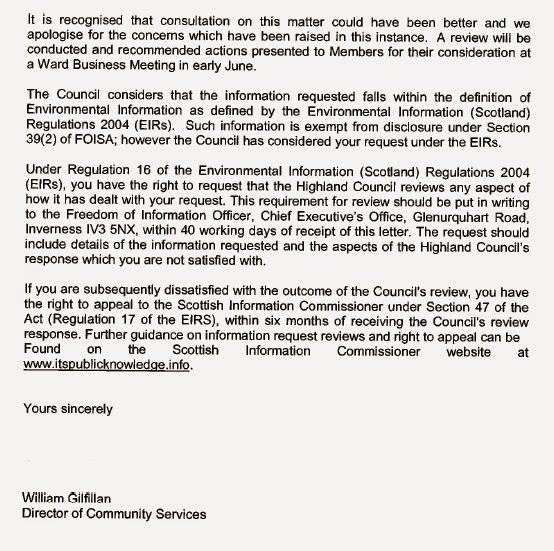 Highland Council employees make decisions on our behalf all the time, why should they have to consult anyone about anything, and if they had to how would they go about it? Local referendum on whether on not they can empty green bins of a Monday for example? If I was to demolish a derelict old building I own, I would need to consult publiclly and ultimately of course seek permission. Why shouldn't council employees require to do something similar? 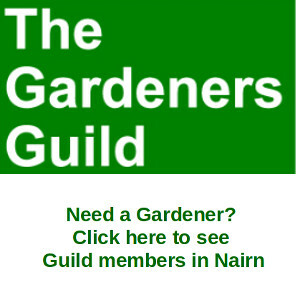 Us in Nairn have publiclly elected community councils to represent the people of Nairn. We also elect councillors to also represent the people of Nairn directly into Highland Council. While we can trust a council official to make a decision when to resurface a road, allowing for budget allowances, scheduling manpower, etc,etc. we perhaps need these same people to consult with us when they plan to demolish play equipment or re-landscape a public amenity area. A huge mistake has been made by council employees here and we need to understand what action they are taking to ensure this type of mistake is not repeated around Nairn in the future.